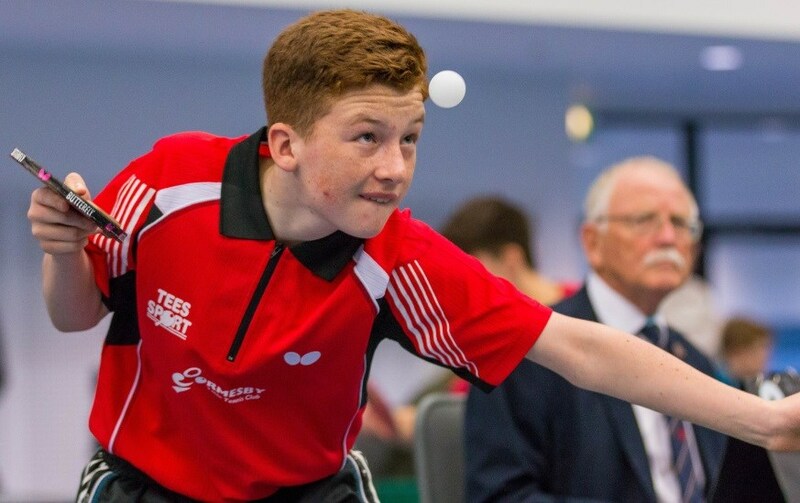 With a hat trick from Joe Cope, Ormesby A improved their prospects of honours in the 1st Division of the Cleveland & District Summer Table Tennis League last week when they defeated the team at the top of the table, Ormesby B at 6-4. Joe Cope’s hat trick was not easy. In a hard match he defeated Carl White, who took the England Cadet to 19-17 in the fourth game before conceding. David Gofton also did well with two victories for Ormesby A over Carl White 3-1 and Michael Young in straight games. David Gofton recovered from 2-0 to level at 2-2 against David Ashwell before losing 11-9 in the decider. David Ashwell was the star for the B team. He also defeated George Hill. With two wins from Chriss Edwards, Ormesby C produced a good performance against the Champion contenders, Beaumont Accountancy Nomads A. The star of the match was Mark Walpole who scored a hat trick for Beaumont. Also for Beaumont, Stephen Baines won two before losing to Chris 3-1. With a hat trick from Jimmy Scope and two wins from Anthony Lennard and Keith Robertson, Westbourne A did well to beat Beaumont B 7-3. Peter Abell replied with two wins for Beaumont.